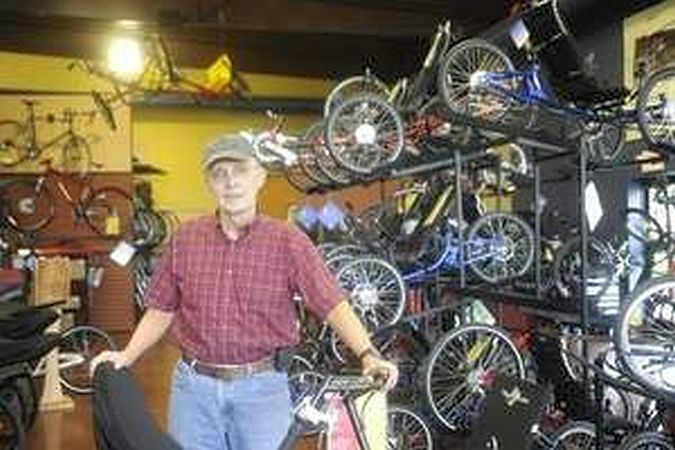 There are dealers who offer specialized components and outfitting of trikes for customers who need such. HERE is one of them. Adaptive controls can be ordered thru and fitted by ICE trikes. And I am sure that the infamous Utah Trikes would gladly outfit a trike for anyone needing special controls and components. TheraTryke combines upper and lower body exercise for paraplegics. Students at Calvin College in Grand Rapids, Michigan have designed and prototyped a device they’re calling the TheraTryke. TheraTryke combines upper and lower body exercise for paraplegics. 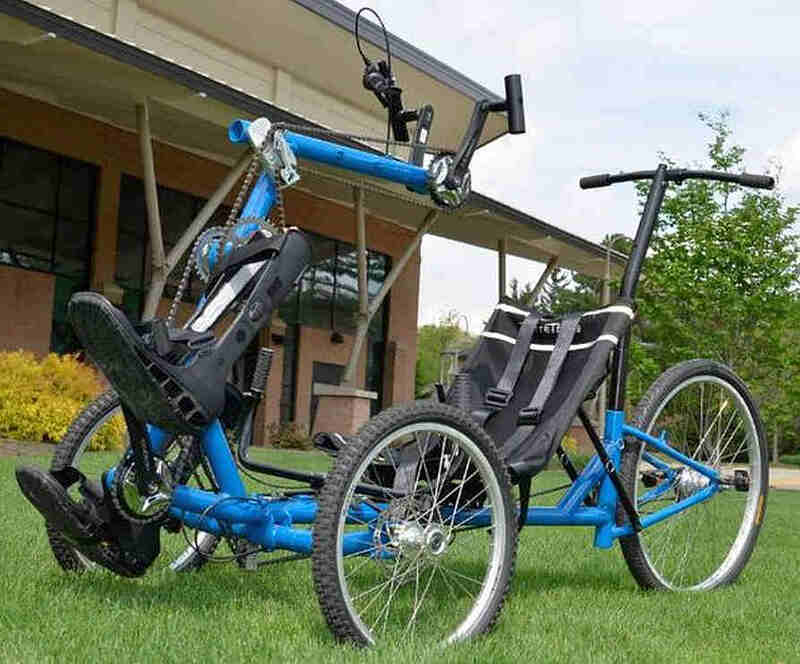 TheraTryke is not to be confused with TheraTrike which is a company specializes in designing and manufacturing therapeutic tricycles and accessories for children with cerebral palsy and similar special needs. The objective of this project is to design and build a therapeutic trike for those with little to no use in their legs. 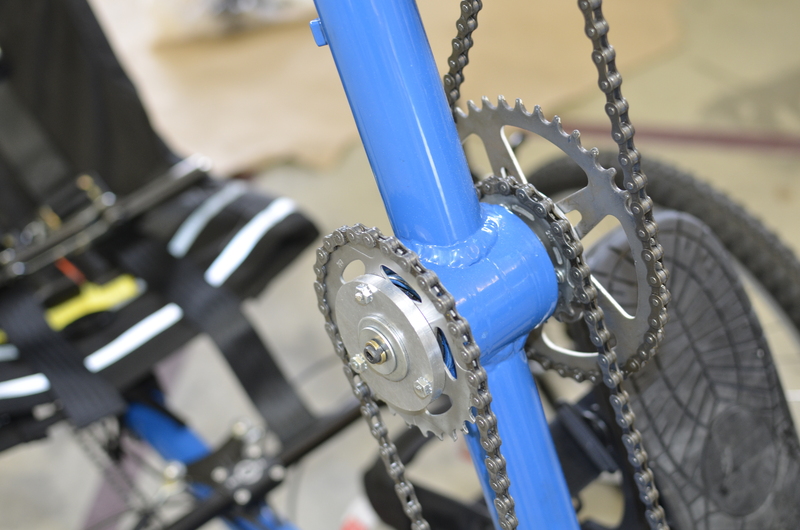 The trike will have the capability of pumping the legs via energy transferred from hand pedaling. 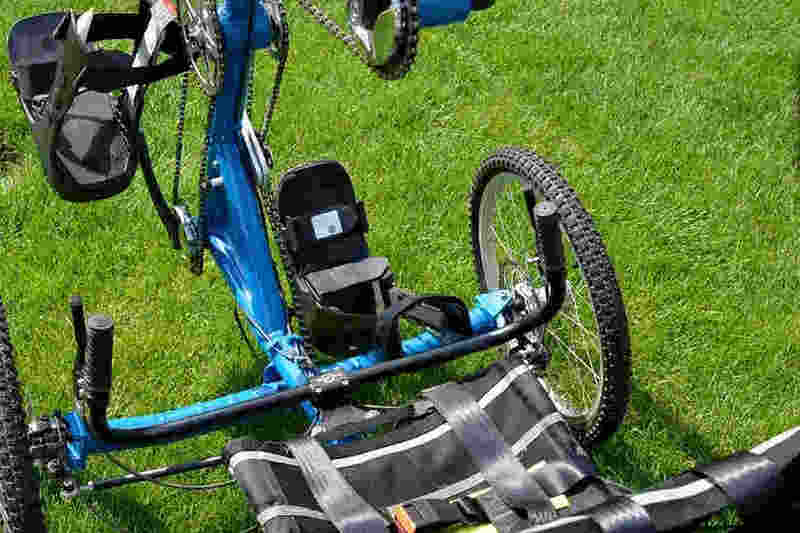 This device will have therapeutic benefits that no other outdoor trike on the market currently has. Aimed at those with MS, spinal cord injuries, or complete paraplegics, it lets riders use their hands, feet or a combination of both together to propel themselves forward. Theratryke’s design diverts about a third of the pedaling power to moving the legs. 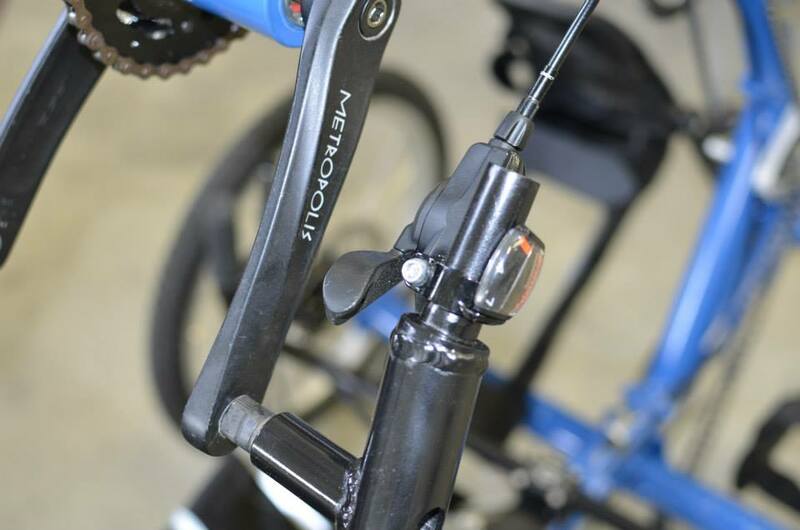 Each brake lever controls both brakes. 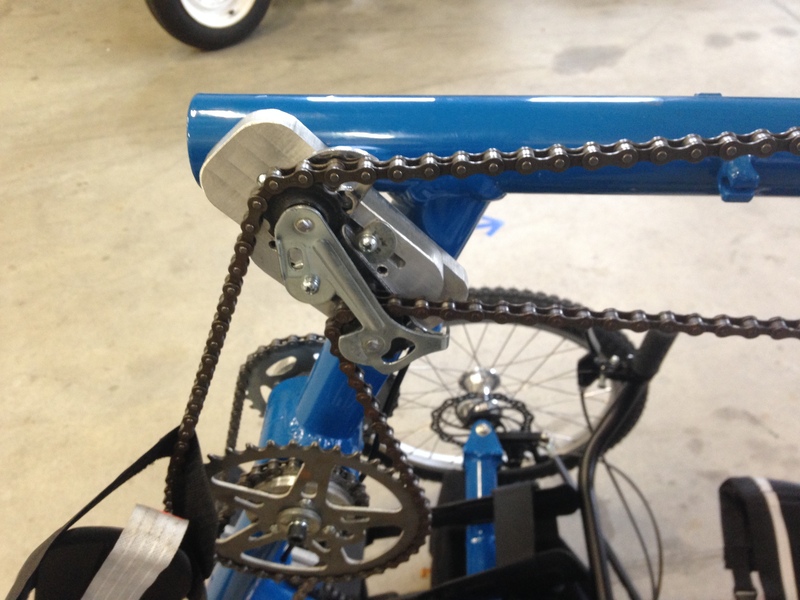 Theratryke uses a Shimano Nexus 7 gearing system that enables continuous gearless ratio changes. The trike will be trialed at a local hospital before they move forward with any manufacturing and marketing. 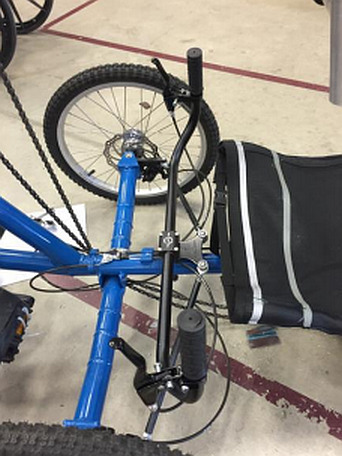 Similar combo-pedal bikes for able-bodied riders include the Varibike and the Raxibo. They have a Facebook page, but no website that I can find. There doesn’t seem to be a lot of information on this trike at this time. HERE is the final report of the designers/developers. There are several articles to be found online. HERE is one of them. Just a reminder here that images on WordPress blogs can be viewed in their own windows and often are much larger. Just left click on them to open them in their own window. When done viewing them simply use your browser’s back button to return to this page.